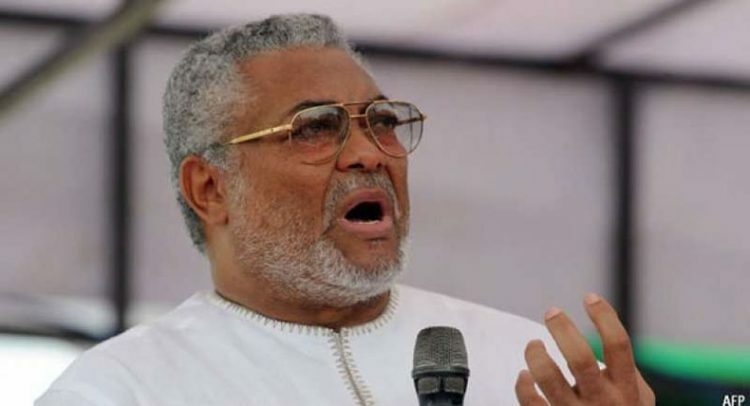 THE COUNCIL of Elders of the opposition National Democratic Congress (NDC), chaired by former President Jerry John Rawlings, has succeeded in compelling the party’s national executive to slash the party’s GH¢ 420,000 ‘killer’ presidential filing and nomination fees by GH¢100,000. DAILY GUIDE gathered that the decision was taken yesterday during a crunch meeting by the NDC Council of Elders and National Executive Council (NEC). The Council of Elders had earlier been described as an illegal entity by a deputy General Secretary of the party, Barbara Serwaa Asamoah, who said its tenure had expired. The meeting followed a petition submitted to the Council by eight of the aspirants over the ‘killer’ fees. With the slash in the fees, the aspirants are now supposed to pay GH¢300,000 as filing fee in addition to GH¢20,000 for nomination forms. The current GH¢320,000 is still high as compared to the GH¢50,000 charged by the NDC for its 2016 presidential primaries. In the view of political pundits, the fees had been deliberately jerked up by the current executive to favour ex-President John Mahama, who appears to have virtually hijacked the NDC. Not only has there been a reduction in the fees, but also the December 4, 2018, deadline for picking of nomination forms has also been extended to Saturday, December 8. Again, the January 19, 2019 date for the primaries has also been reviewed and the race is now expected to be held on January 26, 2019. Ekwow Spio-Garbrah, one of the aspirants, who petitioned the Council of Elders and who did not pick forms in protest against the high fees, had prior to the crunch meeting maintained his faith in the sense of responsibility of the Council of Elders to respond to their petition. The rest of the eight aspirants who petitioned the Council of Elders are oil and gas consultant, Nurideen Iddrisu; Member of Parliament (MP) for Cape Coast South; George Kwaku Ricketts Hagan; a member of the NDC’s communications team, Lawyer­­­ Elikplim Agbemava; David Dotse Kwame Kuwadah; former Kumasi Metropolitan Chief Executive, Kojo Bonsu and Goosie Tanoh, a cadre. A deputy General Secretary of the opposition National Democratic Congress (NDC), Barbara Serwaa Asamoah, had before the crunch meeting, signaled that Founder of the NDC, former President Rawlings, does not have the authority to mediate in the ongoing dispute over the party’s excessive GH¢420,000 filing and nomination fees. She said that was because the tenure of office for the Council of Elders which Mr. Rawlings chairs and to which the aggrieved aspirants had channelled their petition, has expired with the election of new national executives for the party in November 2018. Ms Asamoah was speaking on Citi FM on Tuesday, December 4, 2018, which was the deadline for picking the NDC’s presidential primaries nomination forms. Eight aspirants namely Alban Bagbin, Ekwow Spio-Garbrah, Sylvester Mensah, Stephen Atubiga, Nurudeen Iddrisu, Goosie Tanoh, Kojo Bonsu and Elikplim Agbemava, had threatened to boycott the filing process as the NDC opened its two-day filing ceremony which started on Monday, December 3. They went ahead to petition the party’s Council of Elders, demanding a review of the fees and several issues with the management of the presidential primaries. The petitioners had argued that the Council of Elders was not consulted over the guidelines on the presidential primaries. However, for Mensah, Atubiga and Bagbin, their supposed supporters picked up their nomination forms on December 4. They had insisted that they were not aware forms were going to be picked by those individuals on their behalf, noting that their petition to the Council of Elders still stands. But the deputy General Secretary has clearly stated that the aggrieved aspirants misdirected their petition to the ‘wrong’ body and that former President in his capacity as the chair of the current Council of Elders is unlikely to mediate because the time of the Council has elapsed since November when new executives were elected. The NDC elected new executives at the La Trade Fair Centre in Accra in November 2018 but that notwithstanding, the party has since not been able to reconstitute a new Council of Elders. Meanwhile, the campaign team of one of the eight aspirants who could not pick forms on December 4, 2018, Gossie Tanoh, has indicated that he (Tanoh) is not withdrawing from the race for the flagbearer position of the NDC.